Work is continuing on the chough breeding aviaries, although it has slowed down through other commitments and emergencies that have cropped. Cables for the cameras are currently being fitted. The cables will run overhead to the Orang-utan building, as opposed to underground. There are too many service pipes, drains, and electrics under there already! Hopefully the cameras will be online by the first week in March. 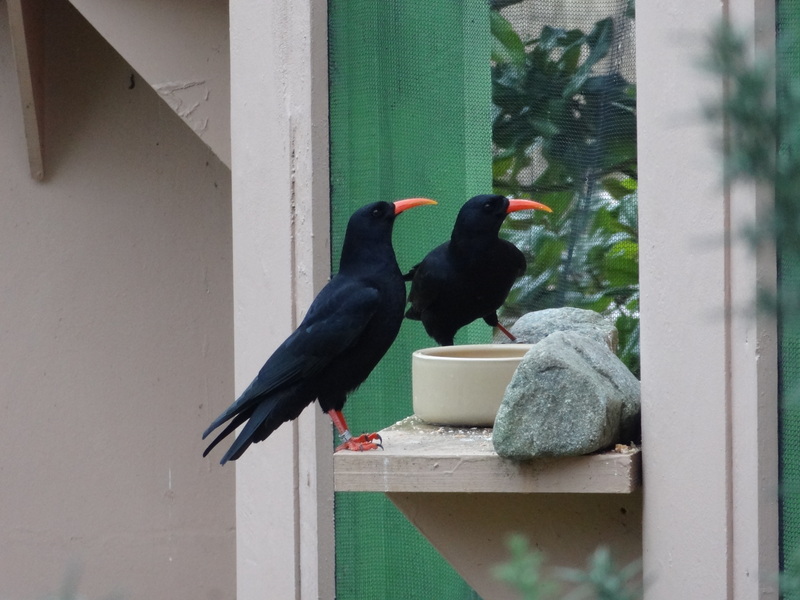 Durrell Bird Department Staff have been busy trying to get the neighbouring aviaries set up for the breeding season to avoid disturbing the choughs once they are moved. That work is now complete. The display aviary has had issues with mice in the food-bowl located in the catch-up cage. We blocked off the catch-up cage, so the birds could not access it for two days, whilst we set mouse-traps. We caught one mouse in that time and will reassess in a week if we need to repeat it. The entrance door has been mouse-proofed, but there is still the door leading to the entrance to repair. We have tried blocking holes with wire-mesh but the choughs just see that as enrichment! In the meantime we have found toad spawn in the display aviary pond. A toad was seen in the pond on the morning of the 28th with toad spawn, and then a few hours later a male and female toad were seen in amplexus. 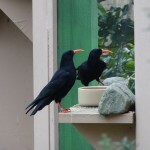 Not sure if the choughs will see the spawn as another form of enrichment, but it is keeping the staff entertained. The birds themselves have been fine and there is nothing of great importance to report for this month. Biannual faecal samples were submitted on the 13th. We are still awaiting the results from the Durrell Vet Department. It was noted that Rd-R (B6978) has an overgrown upper mandible, but it does not appear to be causing any problems. When we catch up the adults next month we will try and catch Red too and trim her beak. 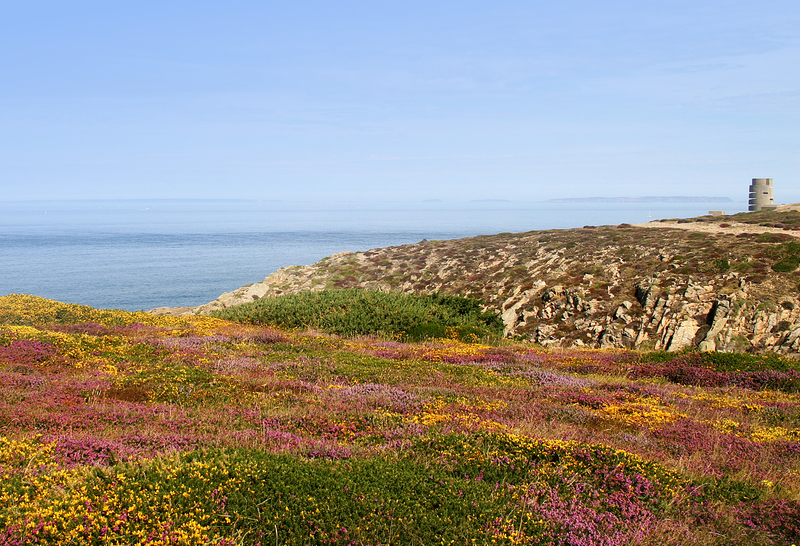 Six members of the National Trust for Jersey staff visited Durrell on the 20th for a tour of the chough facilities. They were shown the diets, helped feed and put out enrichment, and had a sneak peek at the breeding aviaries.